Everyone wants a piece of Planet Maxwell. The frontier awaits, citizen, and your faction needs you! 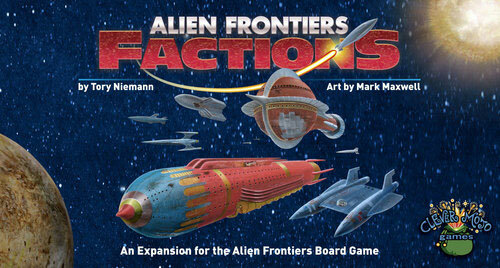 Factions adds a 5th player, 8 new Alien Tech cards, 24 Secret Agenda cards, and 8 Factions mini boards that give players a special bonus and a new facility that everyone can use. 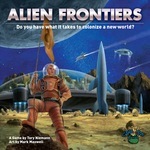 Requires Alien Frontiers base game.